Environmental Microbiology recently published a list of anonymous referee quotes from their reviews from the preceeding year. They did this in the interest of seasonal merriment. 1) The intro to the list says “Here are some quotes from reviews made over the past year”. To me, this implies that they were sent to the authors of the submitted papers. But they actually read much more like Comments to the Editor, so the authors of the papers in question wouldn’t see these comments. This list has got a bit of media attention and I suspect that to people that haven’t been involved in the review process and don’t understand the context will assume that scientists are rude, tactless and take advantage of the anonymity that peer review allows. 2) The other problem with publishing Comments to the Editor is that the reviewers probably wrote them without thinking that they would be published – they are often explicitly listed as confidential on the reviewer comments form (I don’t know if this is the case for EM). I hope the EM editor asked permission before publsihing these comments. I know that not all editors are so considerate: an editor of a journal I once wrote a review for cut and pasted some of my “confidential” comments into my review for the authors. There was nothing offensive in those comments but it was information that I thought would be useful to the editor that I didn’t think would help the authors revise the paper. If I’d have known it would be sent to the authors I would have written it in a different style. 3) Perhaps more worrying is if reviewers for EM are writing their reviews in the knowledge that the editor may use their “funny” comments in the December issue (this is the 2nd year that EM have done this list). As an Associate Editor of a journal, I often find that the comments written specifically for me are the most useful information in deciding the outcome of the review process. If reviewers are trying to get a punchline in that statement then that runs the risk of making the review process harder than it needs to be or skewing the reviewer’s tone. It’s not very polite (or funny actually). This kind of comment makes me think that having open, non-anonymous peer-review would be for the best. Anyway, I suspect I’m being a bit of a killjoy but I’m not sure the laughs are worth the potential damage that these quotes can do. 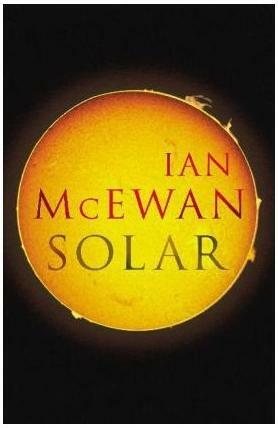 I’m a fan of McEwan so I was keen to give his latest book a read as it touches on climate change. The main character, Michael Beard, is a Nobel prize winning physicist with his best work a long way behind him. He’s taken on the figurehead role for a new renewable energy institute. He initially sounds dubious as to the importance of climate change and seems to have taken the role largely for the money. Beard is quite an unpleasant character and, as is typical for McEwan’s novels, the story develops around a series of problems that snowball out of control from seemingly unimportant events. That said, this is probably the most comical McEwan book I’ve read – one or two scenes are full-on slapstick. There’s also a strange part of the book that I recognised as being lifted from Hitchhicker’s Guide to the Galaxy. Even more strangely, when Beard re-tells these events at a later stage in the book another character questions the authenticity of Beard’s story (and even mentions that it was in the Douglas Adams book!) In retrospect, this small sub-story reflects the main course of events. Overall, it’s a tragic, darkly comic romp through the lives of some seriously flawed people. Watts Up With That? recently published a post about an improvement to a method developed by Steig et al. (2009). This paper aimed to identify temperature trends over the data sparse Antarctic. The improved method has been accepted for publication in Journal of Climate, which is a decent achievement. Firstly, I think its great that this exchange of ideas is happening in the peer-reviewed literature and not only on blogs. I say this because, as Watts demonstrates, blogs can be used to insinuate things that are not the case. Yet Watts decided to title his post “Skeptic paper on Antarctica accepted – rebuts Steig et al”. Whilst I realise the difference between “rebut” and “repudiate”, it strikes me as poor form. I don’t understand why Watts is surprised about this: if you contribute something novel to the literature then the peer review process assesses that work against itself; if, on the other hand, you criticise and amend other people’s work then it would be irresponsible of the journal editor not to send the paper to one of the people being questioned. The striking differences in the update are the increased positive trend on the peninsula and a “new” negative trend from the South Pole to the eastern Weddell Sea. The positive trend over most of Western Antarctica has also largely gone. I expect Real Climate will post a response once the full paper is published so I don’t want to try to pick the methods apart here. However, it struck me as a little odd that Watts was almost celebrating the re-affirmation of a massive warming on the Antarctic Peninsula! Sure, the atmospheric dynamics of this region are very complicated and it’s not clear exactly what the distribution of temperature changes mean. But this “victory” seemed to focus more on getting one over the “hockey team” (ugh) rather than achieving something potentially useful.